Modern Alphabet on Chocolate by Oopsy daisy - This unique ABC wall art was created by Oopsy daisy artist Lisa De John. Each Modern Alphabet on Chocolate canvas is printed on museum quality canvas using the Giclee printing process. Your canvas will be virtually indistinguishable from the original created by Lisa De John. As an added bonus, when you purchase this ABC wall art for kids, Oopsy daisy will donate a portion of the proceeds to children's charities. Made in the USA. Full Description Modern Alphabet on Chocolate by Oopsy daisy - This unique ABC wall art was created by Oopsy daisy artist Lisa De John. 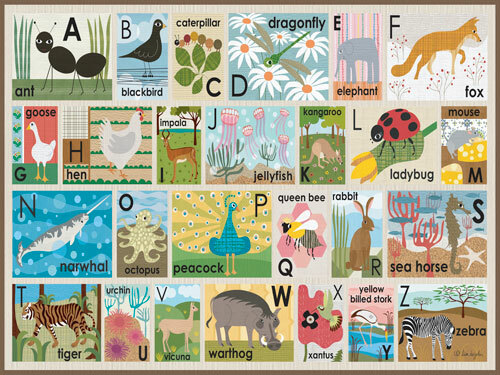 Each Modern Alphabet on Chocolate canvas is printed on museum quality canvas using the Giclee printing process. Your canvas will be virtually indistinguishable from the original created by Lisa De John. 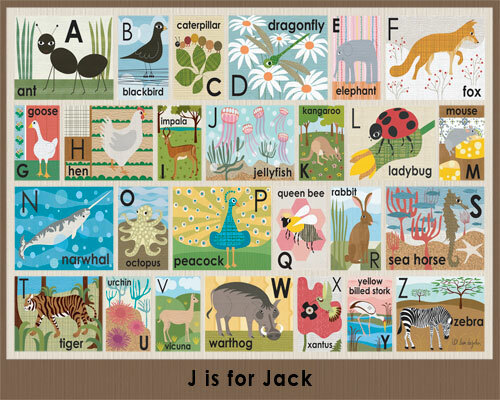 As an added bonus, when you purchase this ABC wall art for kids, Oopsy daisy will donate a portion of the proceeds to children's charities. Made in the USA.